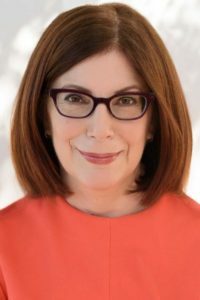 YWCA New Britain is excited to announce Anat Baron as the keynote speaker for the Women in Leadership Luncheon on May 9 at the Aqua Turf Club in Plantsville, CT. Currently the CEO of Stashwall, Inc., an early-stage, game-changing technology startup, Anat has proven not only to be a successful person in business but also a dynamic and inspiring speaker. Her background consists of many successes, but she is best known as the genius behind Mike’s Hard Lemonade. Even though she was allergic to the product, she quickly built it into a $200 million giant in the ever-growing beer industry. After working with well-known hotel brands including Four Seasons, Holiday Inn and Radisson, Anat went on to write, produce and direct Beer Wars, an award-winning documentary film that tells the story of the U.S. Beer Industry and predicted the vast growth of craft beer. Driving Anat’s success as a business leader, speaker, and lifelong learner is her strong belief that organizations and individuals should thrive on change rather than fear it. As a woman working in a male-dominated field, she infuses her inspiring point of view into every presentation — motivating audiences to take charge and galvanizing them into action. We can’t wait for the luncheon on May 9th! In the meantime, follow us on Facebook and Instagram to see how the event is shaping up. Click here to view information on event sponsorship, advertising, nomination information, and more.